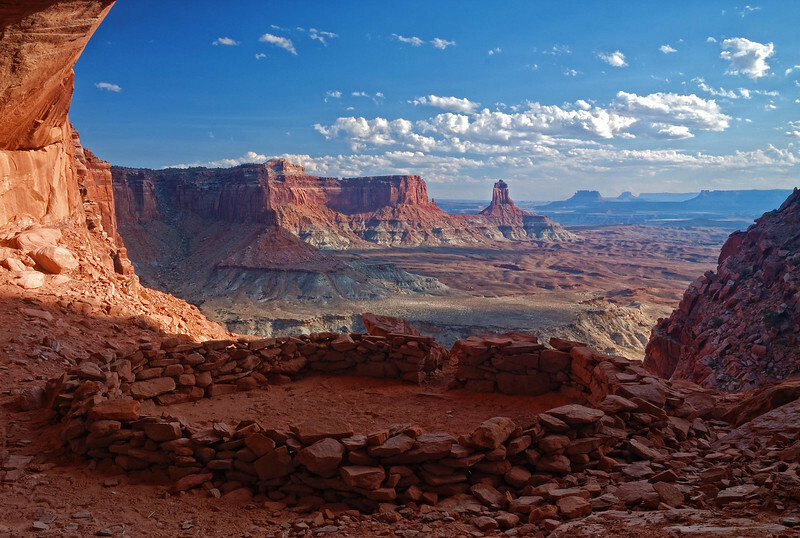 "ROOM WITH A VIEW" (Canyonlands NP) - These ruins date back nearly 1000 years and can be found in an alcove up on a cliff wall in Canyonlands. There is no official trail to this location but it's one of the best views in the Southwest. Sitting here, in what was actually someone's house about 1000 years ago and not hearing a sound or seeing another person really gives me a spiritual feeling. It also makes me wonder where the hell they went to get water.